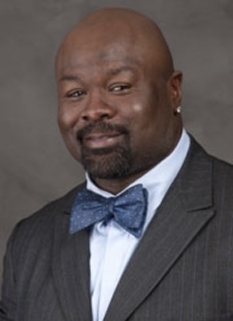 Retired football player, Hugh Douglas, was born on August 23, 1971 in Mansfield, Ohio. 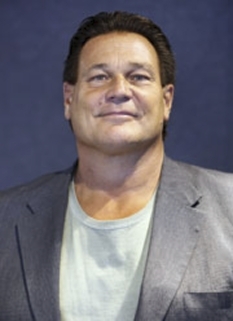 Douglas played defensive end in the NFL with the New York Jets, Philadelphia Eagles (twice), and the Jacksonville Jaguars. 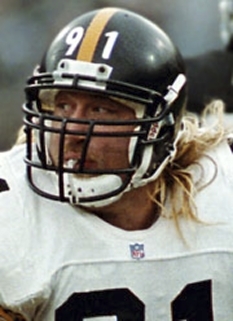 In his first season in 1995, Douglas was named Defensive Rookie of the Year by the Associated Press. 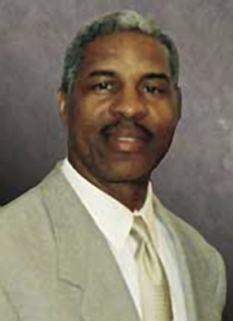 Hugh Douglas was cut by the Eagles prior to the 2005 season, but was resigned to the front office position of "Good-Will Ambassador" shortly after. 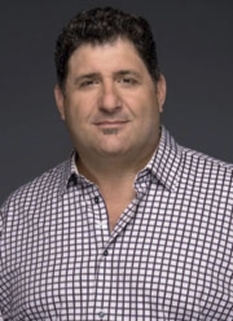 Douglas is also a regular personality on Philadelphia’s sports radio station 610 WIP. While his accomplishments are undoubtedly impressive, Douglas is often known not so much for his Pro Bowl seasons and performances on the field as for his genuine love for the Eagles franchise. After a largely quiet 2003 effort with the Jacksonville Jaguars, Douglas had his agent orchestrate an immediate return to Philly, even though the team chose not to re-sign him the year before and allowed him to leave and sign with the Jaguars when his contract expired. Also, the Eagles were largely settled at the defensive end position. Many also speculate that Douglas could easily have continued his career in 2005 but instead opted to remain with the Eagles in a different role. On November 5, 2005, Douglas was reportedly involved in a physical altercation with controversial Eagles player Terrell Owens, who was in the midst of a very public war of words with the team. Owens was suspended by the team and was later deactivated when he refused to fully apologize for the altercation, as well as for derogatory remarks made about Eagles' quarterback Donovan McNabb. At Central State University in Wilberforce, Ohio, Hugh Douglas was a two-time NAIA Division I All-American, made 42 sacks in just 32 games in a three-year career, turned in 13 multiple-sack games, and helped lead his team to an NAIA national championship as a sophomore. As a senior, Hugh was named Defensive Player of the Year by the Washington, DC Pigskin Club. 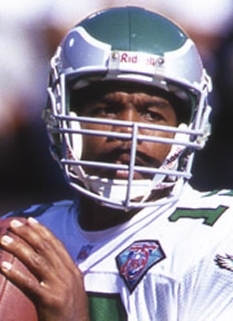 A three-time Pro Bowl selection, Hugh Douglas was a first-round draft choice of the Jets in the 1995 NFL Draft and was traded to the Eagles prior to the 1998 season for two draft choices. 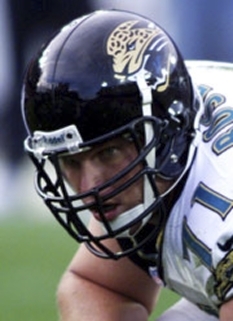 Douglas spent the 2003 campaign with the Jaguars before re-signing with Philadelphia in 2004. Douglas is ranked third behind Reggie White (124) and Clyde Simmons (76.5) on the Eagles' all-time sack list with 54.5 during his six seasons. DISCLAIMER: PFP Sports Talent Agency does not claim to represent itself as the exclusive agent for Hugh Douglas. PFP Sports Talent Agency is a booking agency that represents organizations seeking to hire pro athletes and sports personalities such as Hugh Douglas for speaking engagements, personal appearances, product endorsements and corporate entertainment. Fees on this website are estimates and are intended only as a guideline. Exact fees are determined by a number of factors, including the location of event, the talent’s schedule, requested duties and supply and demand. PFP Sports Talent Agency makes no guarantees to the accuracy of information found on this website and does not warrant that any information or representations contained on this website will be accurate or free from errors. We are often asked how can I find out who is Hugh Douglas's agent? To find Hugh Douglas appearance fees and booking agent details, you can contact the agent, representative or manager through PFP Sports Talent Agency for speaking fee costs and availability. PFP Sports Talent Agency can help your company choose the ideal sports personality for your next marketing campaign. To hire Hugh Douglas for an appearance, speaking event or endorsement, contact Hugh Douglas's booking agent for more information.